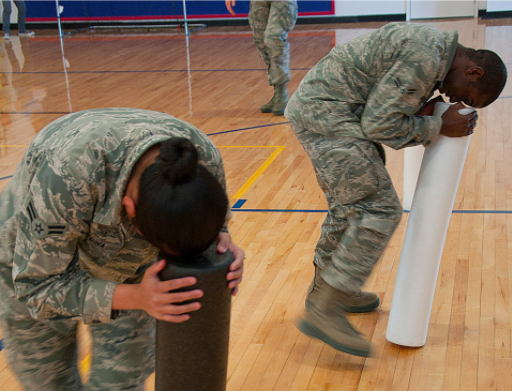 Ok, so just to clarify – you can still foam roll all you want on it. Roll your heart out. Recently, more and more studies are showing that a more pliable and targeted tool will be more effective for making the kind of change to the tissues that you’re probably looking for. However! One of my Ground Rules in Quantum Leap is “Keep Everything.” If foam rolling gives you pain relief, or you think it’s fun – go for it. There’s no reason to throw anything away – either you repurpose it, or you file it away for very specific useages. When not being used for rolling, one of my favorite ways to use the foam roller is to work on trunk stability and core strength. I’m demonstrating a few ideas in the video – try them out, let me know what you think, and tell me about your cool innovative uses for your foam roller! If foam rolling gives you pain relief, or you think it’s fun – go for it.